Esther de Waal comes to the Rule of St. Benedict as a lay woman who has studied the Rule and striven to live it. Benedict has been for her both supportive and challenging, both guide and prophet. His Rule asks not for blind obedience and conformity but for personal responsibility. While the Rule offers much to those seeking a pattern to the structure of their day-to-day, "exterior" life, which de Waal's previous commentaries have addressed, this commentary focuses on what Benedict tells us about the interior life. It takes the shape of prayerful reflections on his words of wisdom regarding the disposition of the heart. It leads the reader, as the Rule was meant to lead the novice, to answer the very personal question we must all, as Christians, answer: "Am I truly seeking God?" Includes a copy of the Rule. Esther de Waal is a well-known author whose interests lie particularly in monastic and Celtic spirituality. Her first book, Seeking God: The Way of St. Benedict (The Liturgical Press), continues to be a bestseller and has been translated world wide. It was followed by Living with Contradiction: Further Reflections on the Rule and, most recently, A World Made Whole: Rediscovering the Celtic Tradition and A Seven Day Journey with Thomas Merton. She is married with four grown-up sons and lives in the Welsh Borders. 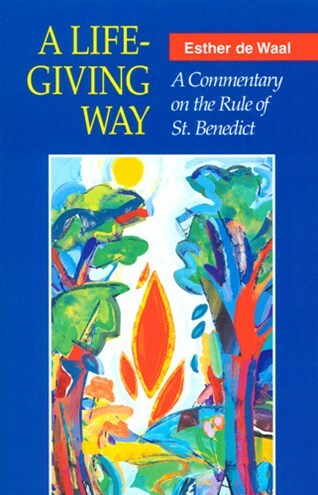 Authoritatively yet sensitively, the author explores this sixth-century Rule, in which Benedict invites us to 'come home to ourselves,' accepting and blending body, mind and spirit in daily service to God. The author's limpid prose is a joy to read. She draws out of the Rule each of the crucial elements in Benedicts teaching: the use of Scripture in the practice of the lectio divina is set out in its four stages and the three vows are also elucidated and their implications outlined. It is full of warmth and human understanding.